The Junior Service League of Beaufort, through its Service Project Committee, is accepting requests for volunteer placement from nonprofit organizations, community agencies and service providers for the next league year, which begins September 1, 2018 and ends May 31, 2019. Successful applicants will demonstrate a need for their proposed projects and will outline measurable outcomes. Service project requests must align with the JSLB’s mission to support and enrich the lives of women, children and families in our community. Completed Service Project Request Forms must be received by April 1, 2018 in order to be considered. Please limit submissions to 5 pages in length, excluding attachments. Inquiries and requests may be submitted electronically or by US mail by April 1, 2018. The Child Abuse Prevention Association (CAPA) is a local nonprofit who provides prevention and intervention programs targeted to break the cycle of child abuse and neglect. Members placed on this project take turns volunteering on Tuesday evenings in the CAPA shelter and spend quality time with children who have been removed from their homes because of sexual, physical abuse and/or neglect. They engage in activities that promote character development, fun games that provide a much needed distraction and creative arts and crafts projects. Hopeful Horizons provides professional supportive services to victims of intimate partner abuse and their children in Beaufort, Colleton, Hampton and Jasper counties in South Carolina. Committed to the belief that safety from violence and freedom from fear are universal rights, Hopeful Horizons conducts community education programs to confront the societal norms that condone abusive behavior. JSLB will hosts an annual blood drive to raise awareness and blood donations throughout the community. One donation can save up to three lives and One Blood supplies all of the blood for our local area. JSLB members will be responsible for coordinate the event, recruit donors and offer encouragement as people donate. 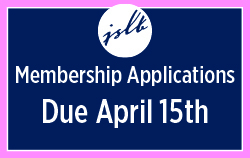 The Junior Service League of Beaufort is always looking for like-minded women who love to make a difference in the community. Click here to learn more about becoming a member. Touch a Truck is Coming November 16, 2019!